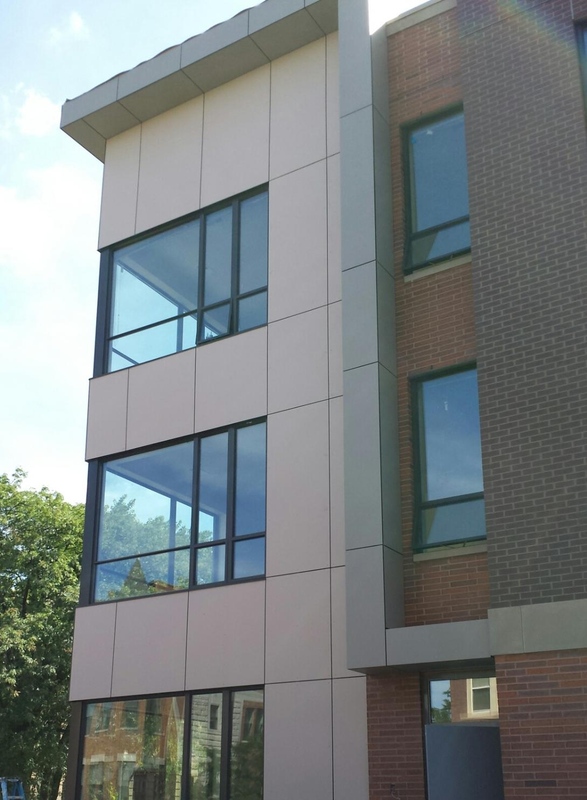 Over 50 Stonewood Architectural Panels in Neutral colors, were installed on the Cornerstone Apartments in Chicago, IL. 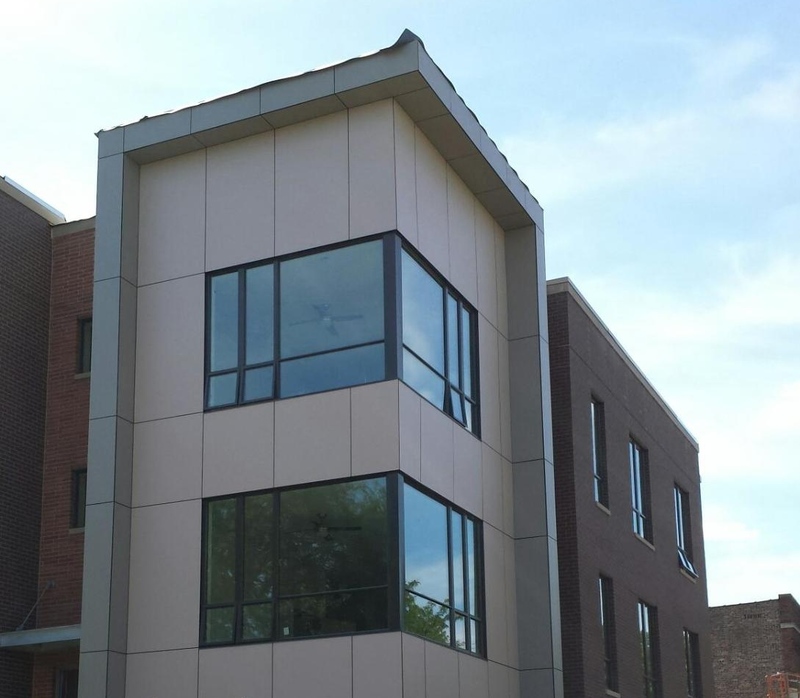 The Cornerstone Apartments project consists of the renovation of two buildings totaling 200 units marketed towards artists in the community. Size 10mm 48" x 96"